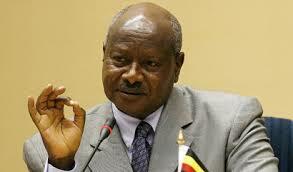 President Yoweri Museveni has left for a one day mini summit on regional security in the Republic of Congo Brazzaville. The President will join President Paul Kagame of Rwanda and Joseph Kabila of the DRC for the summit. The leaders meet at a time when the UN is considering a neutral force to be deployed in the DRC with the mandate of the African Union and the United Nations. President Yoweri Museveni who is the current chairperson of International Committee of the Great Lakes Region summit was asked to formally request African states, regional and international partners to provide financial, logistical and technical support to operationalization of the force. ICGLR member states which sit on the AU Peace and Security Council; Angola, the Republic of Congo, Kenya and Tanzania were tasked to make a joint presentation for approval of the deployment while the AU was urged to seek UN support.